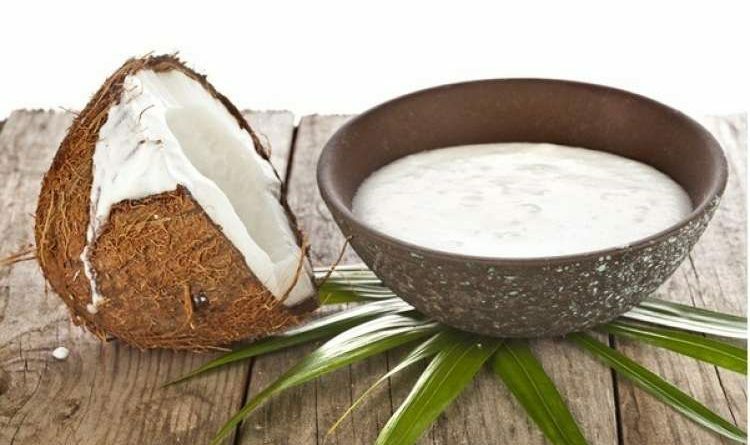 Health Benefits of Coconut Yogurt - Is it really healthiest? Is anyone of you a yogurt friend? I mean, I am the big fan of yogurt because it has many benefits. One of the significant benefits is that your body needs to have a healthy amount of ”good” bacteria in the digestive tract, and many yogurts prepare by using good active bacteria. Yogurt is beneficial for our skin, our hairs, and our gut as well. Have you ever heard about the coconut yogurt? 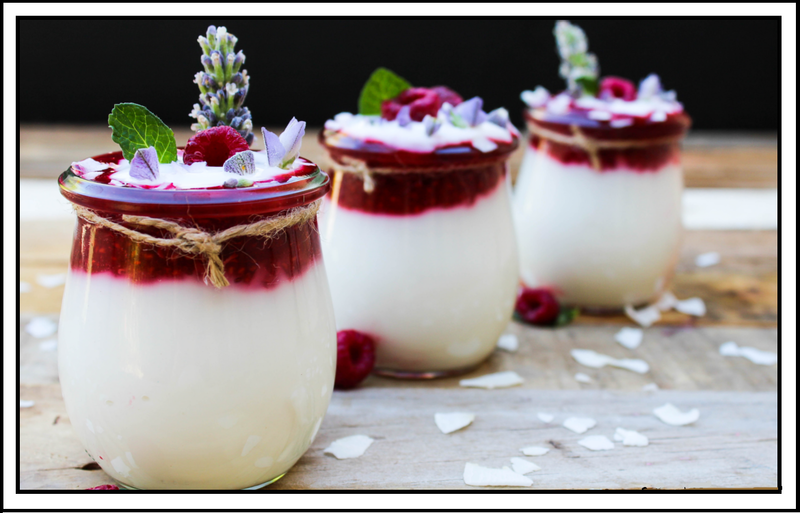 Well, there are different types of yogurt available, but in this article, I will share the informative details on coconut yogurt. Everyone is raving about coconut! 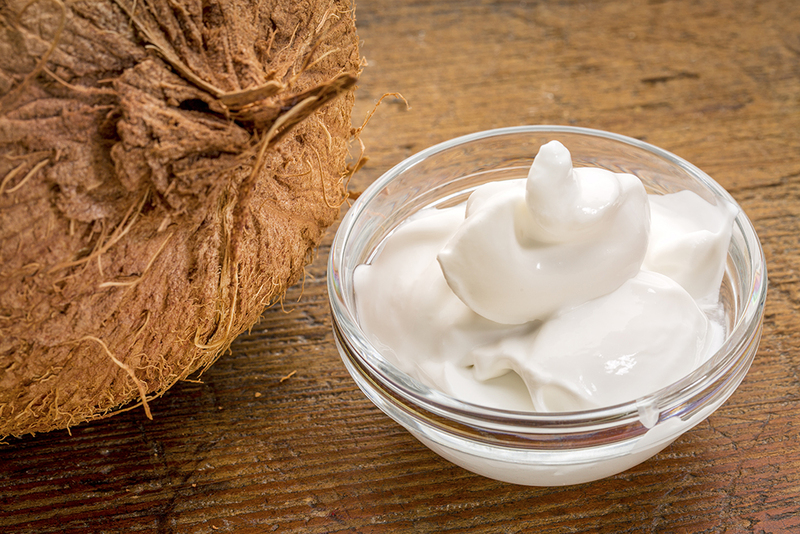 Coconut oil, coconut water, and even cocowhip are all major draw cards for the health industry at the moment. The popularity of coconut doesn’t end with hot-right-now coconut water. A variety of coconut-derived ingredients—from coconut oil to coconut flour and coconut milk—are increasingly being used in home kitchens, restaurants, and packaged foods. However, there’s one product we will be particularly loving- coconut yogurt. So, let’s start with what the coconut yogurt is? 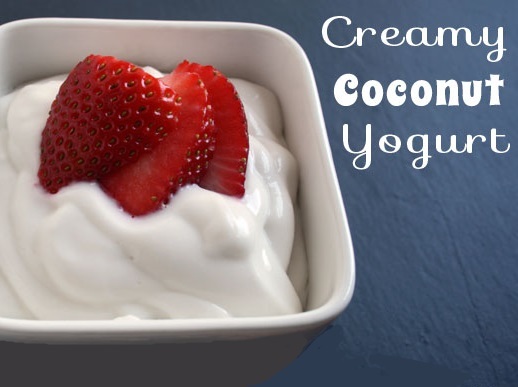 Coconut yogurt is a healthy alternative that is made with coconut milk which is a mixture of coconut meat and water. The milk is then combined with cultures, probiotics, and sweeteners to transform it into a creamy consistency. And also being dairy free, coconut yogurt also provides several vital minerals and vitamins and can have live and active cultures similar to milk-based yogurts. Just like coconut oil, coconut milk yogurt is a high-kilojoule, low-calcium choice and high-fat. When compared with full-fat milk-based yogurts it has double the kilojoules, with 785kJ per 100g and a whopping 11.5g of saturated fat – three times more than the full-fat yogurt we looked at. Coconut yogurt’s second name is Non-Dairy Yogurt. For making coconut milk, coconut seed was basically cracked manually, and the coconut meat is taken off with the sharp knife. The brown area of the coconut meat was carefully scraped off. It was cut into smaller pieces to increase quicker blending. 200 grams of white coconut meat was mixed with 1litre of distilled water. The slurry obtained was further diluted with 1 liter of distilled water. Then, it was sieved with double layers of cheesecloth. The filtrate obtained is coconut milk. It was stored in the refrigerator and used within 45 minutes. Coconut Yogurt is a great alternative for those who are gluten-free, vegan, who suffer from milk allergies or are lactose intolerance. It is also full of healthy fats, rich in antioxidants and contains lots of fiber, making it healthy and delicious. Eating this is a great way to consume probiotics which balance out the microflora (bacteria) in the gut, keeping the harmful bacteria under control. This reduces illnesses like inflammation (as in IBS), gas, diarrhea and a long list of yeast infections. If you serve 6-ounce of unsweetened coconut yogurt, you will end up having 75 calories & 6 grams of fat, of which approximately five are saturated. Plus, flavored coconut yogurts contain more fat and calories. If we take an example of the chocolate flavor, its 6 ounces contains 170 calories & 7 grams of fat, of which five are saturated, whereas the mango flavor has 130 calories & 6 grams of saturated fat. Much of the unhealthy fat in coconut yogurt is in the form of medium-chain triglycerides, which can reduce the risk of atherosclerosis, help control weight, and boost immunity, according to an article in “Nutrition Review.” The fat is also known to reduce belly fat. If you serve 6-ounce of unsweetened coconut yogurt, you will end up having 6 grams of fiber, which is 16% of the 38 grams men need and 24% of the 25 grams women need on a daily basis. The mango contains 2 grams, and the chocolate variety includes 3 grams of fiber. Some kinds of Greek coconut yogurt, which is strained to make it denser and creamier as compared to regular yogurt, contain 8 grams of fiber per 6-ounce serving. Fiber stimulates healthy digestion and can reduce the risk of constipation. Read here to check why fiber is important for our body and the best high-fiber foods. Unsweetened coconut yogurt doesn’t include added sugar; however, the amount in flavored coconut yogurt may vary. A 6-ounce serving of chocolate coconut yogurt contains 23 grams of sugar, and the same amount of strawberry contains 18 grams. Keeping your sugar intake low is one way to prevent unhealthy weight gain and reduce your risk for diseases, including type 2 diabetes and heart disease. Coconut yogurt is low in sodium, except for Greek varieties, which can contain as much as 140 milligrams of sodium per 6-ounce serving. That’s about 9 percent of the 1,500 milligrams the American Heart Association recommends as a daily upper limit. An average serving contains 25% to 30% of the daily allowance of magnesium and calcium. Magnesium is essential for muscle health while Calcium is essential to bone health. Coconut yogurt is an effective source of bone-building calcium with between 25 and 30% of the daily value in each 6-ounce serving. You will also get between 25 and 30 percent of the daily value for magnesium, a mineral required for muscle function. A serving of coconut yogurt provides approximately between 25 and 30 % of the daily value for vitamin B-12, essential for red blood cell production, as well as vitamin D, essential for calcium absorption. Coconut yogurt gives us with antioxidants similar to those present in dark chocolate, berries, and grapes. Click here to know how Antioxidants keep us healthy and its benefits. Additionally, don’t forget to read the labels when buying coconut yogurt so there are no hidden nasties and please share your recipes and the many ways you use coconut yogurt too! When compared with cow’s milk yogurt, coconut yogurt contains less protein per serving. A 6-ounce serving of unsweetened coconut yogurt doesn’t contain a protein; however, the flavored varieties consist of about 1 gram protein per serving. The exception is Greek coconut yogurt that contains about 2 grams of protein per 6-ounce serving. That’s about 4 percent of the 46 grams of protein women need each day and about 3.5 percent of the 56 grams men require. 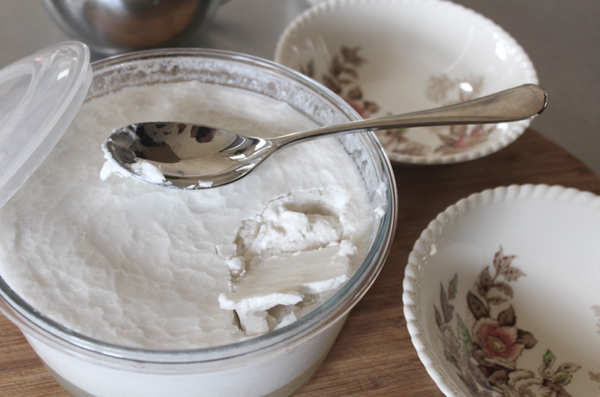 Homemade yogurt is one of the most accessible cultured foods you can make in your kitchen. I will be sharing with you all the three different recipes to make coconut yogurt. One tin Coconut cream (BPA free) which coconut cream to buy? Native Forest’s coconut cream and milk cans are free from harmful BPA. Make sure you do this when you have an oven free for 24hours. It is not necessary to heat your cream beforehand. Strain any water from the coconut cream tin. You will only use the cream. Mix well with a hand beater for a few seconds. Place your mixture into a sterilized jar. Place the lid on top and put inside your oven with only the light on. Close the oven door and wrap the jar with a kitchen cloth. The perfect temperature for fermentation is 105ºF (40ºC). Leave in the oven for 24 hours. This generates enough heat for fermentation so that the probiotics can do their job and turn your cream into yogurt. Leave in the fridge for a further 6 hours before eating. How to Sterilize a Glass Jar and Utensils. Wash your jar, lid, and utensils with soapy water. Rinse. Place in boiling water for a few seconds. Allow airing dry. 400ml coconut milk. Make your coconut milk. It is not necessary to heat your milk beforehand. Add the vegan yogurt starter. Place your mixture into a sterilized jar. (how to sterilize below). Place the lid on top and put inside your oven with only the light on. The perfect temperature for fermentation is 105ºF (40ºC). Leave in the oven for 24 hours. This generates enough heat for fermentation so that the probiotics can do their job and turn your mixture into yogurt. I’ve chosen a fruit mixture for the bottom of our coconut yogurt, simply to create a more exciting flavor. You can absolutely eat the plain coconut yogurt on its own and skip this step altogether. I’ve chosen raspberries since they’re cleanse-friendly and reduce quickly in the pan due to their high water content. Raspberries are rich in vitamin C which one can use as an antioxidant in the body to ward off disease and inflammation. Vitamin C is also essential for developing collagen, which helps joint and guts health and also improves the elasticity of our skin to prevent premature aging. So, let’s start with the recipe. Add raspberries, coconut palm sugar, and lemon zest in a saucepan. Bring to a gentle boil, reduce to a simmer, and let reduce by half (5-10 minutes). If your temperature is too high, you will kill the bacteria; and if the temperature is too low, it won’t ferment (thicken). If your yogurt separates in the fridge, you can whip it up again until it’s the right consistency. 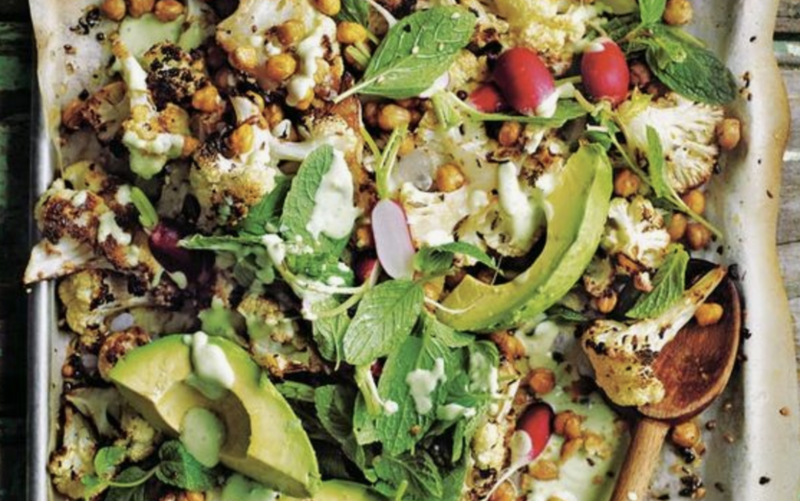 Instead of an oven, you can use a dehydrator. Set the temperature to 105 degrees F. Put the jar as far away from the element as possible. If your yogurt is not thick enough, you can put the mixture into a nut bag and allow to drip for 6 hours, the same way you would make homemade Greek yogurt. Then leave in the fridge for 6 hours. Sterilizing all your utensils will prevent any harmful bacteria from colonizing the batch of yogurt. If you are worried about leaving the cream out the fridge, don’t be. 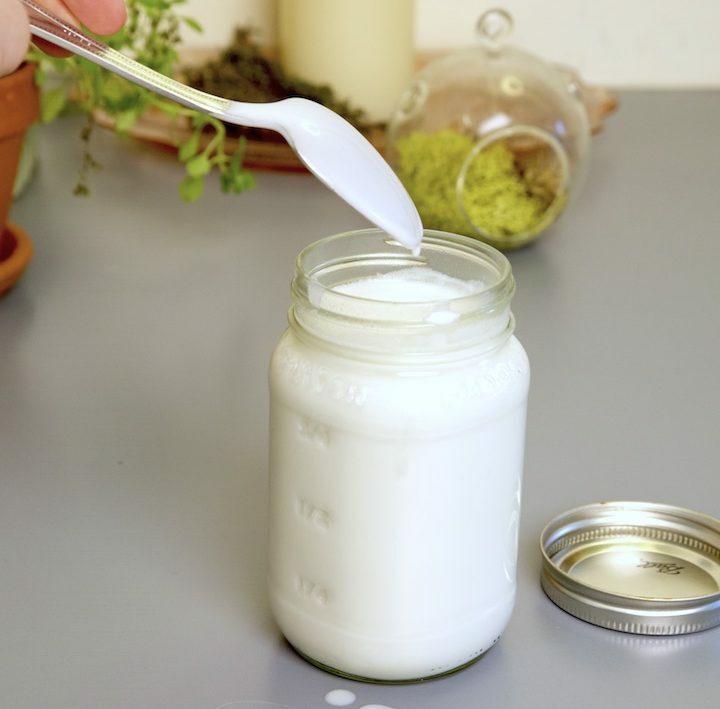 This is how all yogurt and fermented foods are made, and even your store bought yogurt. If you do not desire to use a vegan yogurt starter, you may use coconut cream on its own rather than making yogurt. How to make whipped coconut cream? Beat the cream and blend in a few “friendly flora” capsules for the additional probiotic benefit. This is easy and quick. The only downside is that it’s not as tangy as the fermented version. If you would like to add some sweetness to your yogurt, you can mix in some honey. Now that you have your yogurt, you can use it the same way you would any regular yogurt. Have it on your fruit, eat it just like that or make a delicious smoothie. If your yogurt mixture turns any other color or has a pink layer floating on the top, it has been contaminated and should be thrown away. Mix all ingredient in a bowl and serve as a dip or dressing – great for when you’re entertaining, and people have food intolerances. Always make sure you check the ingredients used to make it and please share with me how you like to use coconut yogurt too! 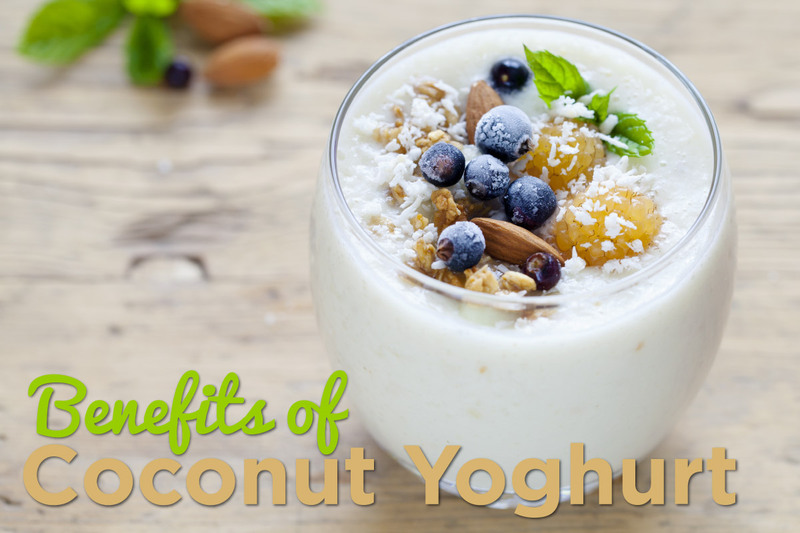 Facts you’ll love about Coconut Yogurt! Did you know that 75% of the world population lose their ability to digest milk after infancy? Only 25% can digest milk and are labeled “lactase persistent.” Fortunately, there are dairy-free alternatives, like coconut yogurt. Coconut yogurt is produced by including live bacteria cultures to coconut milk, which ferment some of the carbohydrates, generating acid which is responsible for yogurt’s consistency as well as tang. N.B. Coconut milk is the liquid pressed from the white coconut flesh, with water included. Coconut yogurt can be a useful and delicious addition to a dairy-free or vegan diet, particularly if not consuming much-saturated fat from other sources. With little taste difference between brands if a lesser fat version presses your buttons to use it – otherwise go with your preference but consider your weight and risk of heart disease as to quantity and frequency of consumption.